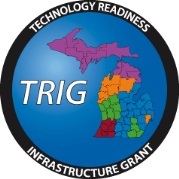 Several of the Technology Readiness Infrastructure Grant (TRIG) Device Purchasing vendors are offering discounts on computers and accessories purchased for PERSONAL use (flyer). Shop and make your purchase online with a credit card, chat or call customer service. Select and configure your device. Apple: While not from the TRIG award, Apple does offer discounts for students and staff. Enter 48371 in the field labeled "Name, City & State, or ZIP:"